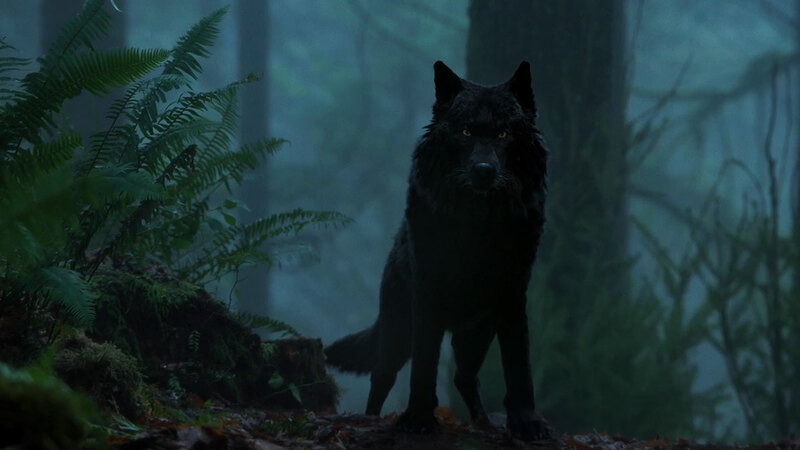 If there’s one thing The X-Files does best, it’s creepy monsters roaming dark, misty woods. 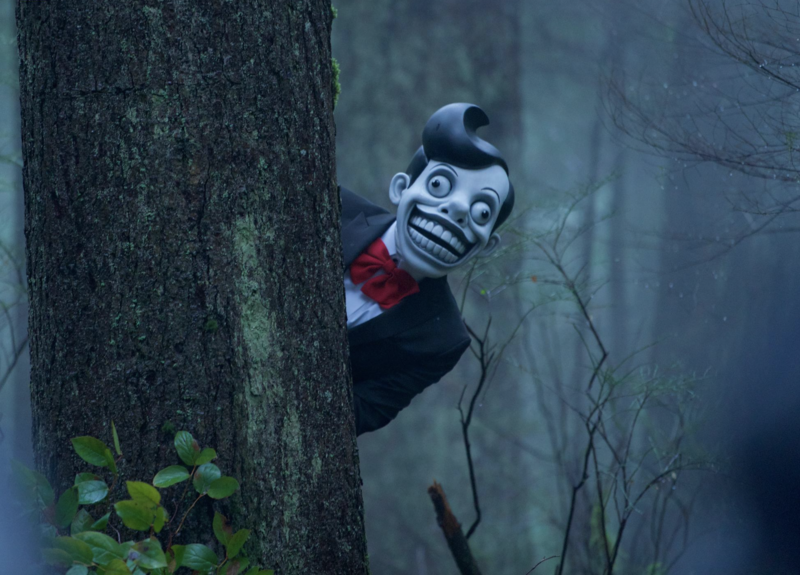 Say what you want about the show, but it’s always succeeded in utilizing the best horror movie tropes, making the everyday seem absolutely terrifying. And how spookier and more everyday can you get then the deep, dark woods? It’s a strength writer Benjamin Van Allen clearly recognises, as Familiar is, for want of a better word, cosily familiar. Well, as cosy as The X-Files can get, at least! Mulder and Scully investigate when a young boy is found dead in the woods, apparently the victim of a vicious animal attack. However, when the two FBI Agents uncover evidence of a witchcraft ritual near the murder site, they soon find themselves dealing with hell hounds, mob hysteria and ghostly visions of creepy children’s television characters. 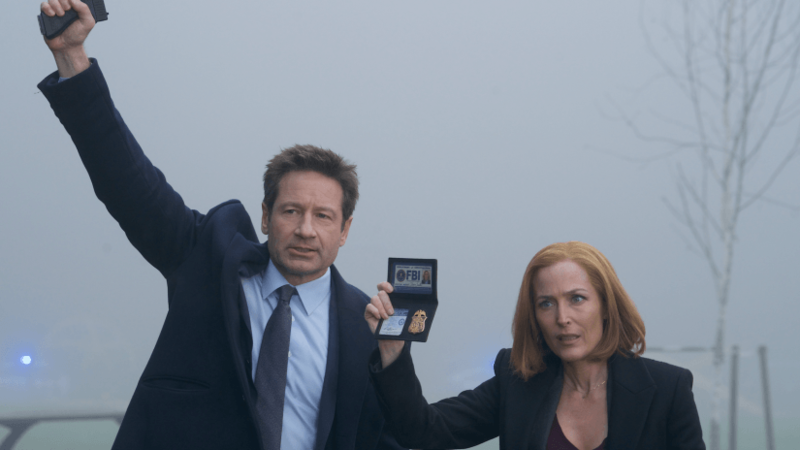 Familiar makes no apologies for what it is – a wholly nostalgic throwback to the golden years of The X-Files. A confident self-contained episode in the Monster of the Week mold, its appeal lies in both its simplicity and its desire to simply scare the pants off the audience. It’s unlikely to stop the most hardened fan from sleeping, but it certainly provides a plethora of spooky imagery and dark themes, particularly with the nightmarish Mr. Chuckleteeth and the unsettling Bibble-Tiggles! Van Allen‘s script is perfectly paced, filled to the brim with moments of genuinely unsettling horror, whilst adhering to the classic Mulder/Scully procedural formula. Where the episode really succeeds though is how it resists the urge to get self-referential. There’s no in-jokes, no deliberate callbacks to classic episodes or obvious nods to the past – instead, the episode is content with telling a good, self-contained story, a wise decision which affords the final product a greater feeling of self-assurance it would otherwise lack if it was merely basking in the glow of nostalgia. Great as the script is, what really sets Familiar apart from lesser episodes is the culmination of every production aspect – Mark Snow‘s music is subtle but spooky, the design work on the monsters is inspired, the visual effects are convincing and effective. Holly Dale (here making her X-Files directorial debut) conjures up a wonderfully unnerving atmosphere via her inventive camera work and cinematography, holding back on ‘showy’ aspects in favor of real drama and simple moments of unnerving horror. Likewise, the performances are further evidence of Familiar‘s success – both David Duchovny and Gillian Anderson deliver the goods, especially in the episode’s more intimate and sadder moments (the autopsy scene and Mulder’s later reference to William are each beautifully delivered with just the right amount of restrained pathos). Guest star Jason Gray-Stanford (Monk) is equally superb throughout as the boy’s grieving father, whilst fellow supporting cast-members Alex Carter and Erin Chambers further complement an already dramatic story with their respective turns. You’ll forgive us for watching Familiar and getting a sheer nostalgic thrill, especially when it’s an episode that harkens back to the show’s golden years! The story may not boast the huge game-changing twist we were expecting, but that matters little when the plot is as watertight as it is here. Ending in true X-Files fashion on an ambiguous and somewhat unsettling note, the episode achieves exactly what it sets out to do – tell a rollicking good spooky story! With only two episodes left of this present season (and possibly the entire show at this point), it’s a welcome reminder of just why The X-Files continues to thrill even to this day. The X-Files returns next week at 11pm on Channel 5, as does our series blog. Be sure to check out our review. Tags: Alex Carter, Benjamin Van Allen, Chris Carter, David Duchovny, Erin Chambers, Gillian Anderson, Holly Dale, Jason Gray-Stanford, Mark Snow, The X-Files, The X-Files Season 11, The X-Files Season 11 Blog. Bookmark the permalink.